As you may know, the “Twilight” books are set in Forks, Washington, because the average yearly rainfall there is 10 – 12 feet (yes, that’s not a mistake – Forks measures precipitation in feet, not inches). Vampires, who dominate the story in each of the books, don’t tolerate sunlight, but thrive in rain-soaked Forks. Although none of the “Twilight” movies were or will be filmed in Forks, you can still visit many of the places mentioned in the books – where the characters go to school, play, eat, sleep and work. 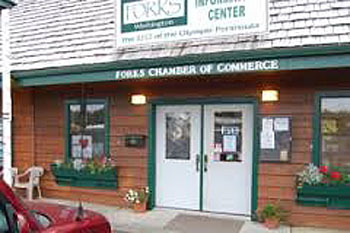 You can pay for an organized, narrated tour offered by the folks at the Dazzled by Twilight store in Forks or you can pick up a map highlighting “Twilight” icons at the Forks Chamber of Commerce and take a self-guided expedition. Driving north on Highway 101, you’ll know you’ve reached the “Twilight” zone when you see Bella’s (the heroine of the books) rusty red Chevy pickup truck parked in front of the Chamber of Commerce. The “Bella” vanity plate gives it away. Stop at the Chamber office and pick up a tour map and check out the “Love Bites” jewelry crafted by the administrator at the Forks Hospital and her sister. Drive a short distance to Port Angeles where you can sample mushroom ravioli (what Bella ordered in the first book) or whatever you like at Bella Italia Restaurant. It was the site of Bella and Edward’s first date. Bella Italia offers fine Italian cuisine and an extensive wine selection. Take home a souvenir to remind you of your “Twilight” adventure. Tee-shirts, mugs, Twilight brew coffee, emblems, bookmarks, jewelry, post cards, Twilight-themed signs, posters, sound tracks and even the Twilight books are available. Some businesses will stamp your book “Bought in Forks,” which makes it a collector’s item. 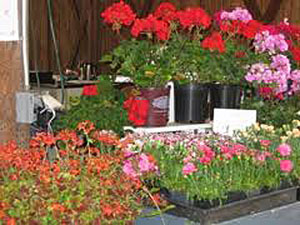 Beauty and serenity abound in the area surrounding Forks. Side trips to the Hoh Rain Forest, Lake Crescent, La Push and Hurricane Ridge are highly encouraged. To find out more about Forks, visit www.forkswa.com. This entry was posted in Towns and tagged Bella, Bella Italia, Charlie Swan, Dazzled by Twilight, Dr. Cullen, Edward, Fork's Outfitters, Forks, Forks Chamber of Commerce, Forks Hospital, Hoh Rain Forest, Hurricane Ridge, La Push, Lake Cresecent, Love Bites, Port Angeles, rainfall, tour, Twilight, vampires on July 24, 2010 by Heather Larson.